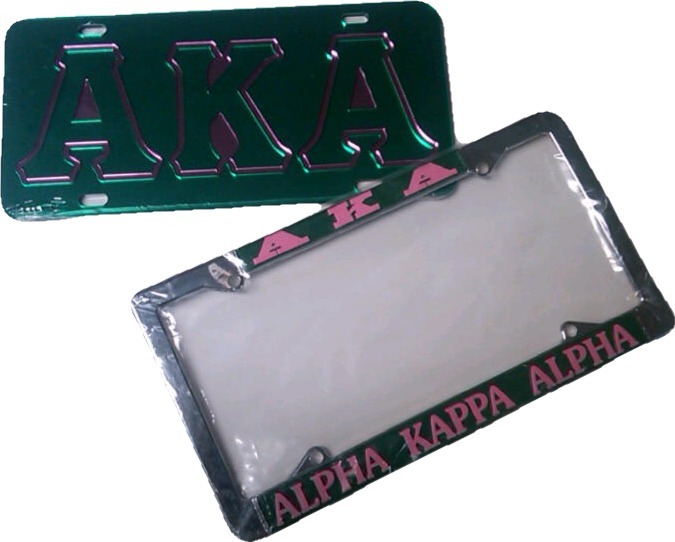 Get the basics for your car in this pack - a license plate and frame. Even upgrade your tag or license frame. * Swing, Groove, ODPhi, Chi Eta Phi, ALO, GPhiD, and Phi Mu Alpha, your chrome license frames are ONLY available with letters on top. And, sorry, we cannot upgrade your license plate to add your founding year or call. 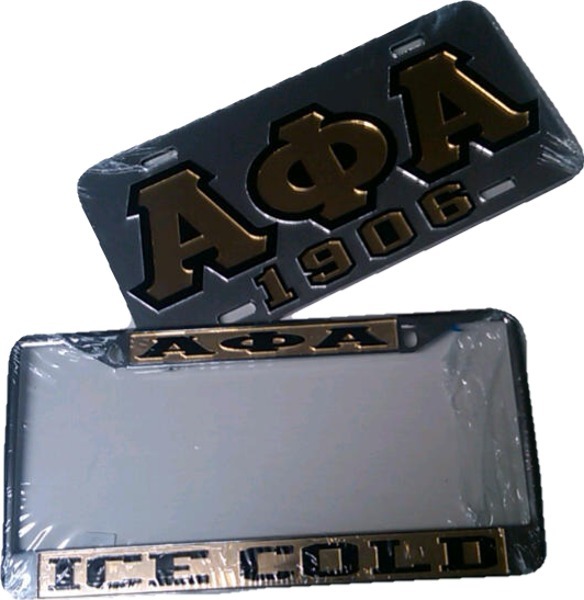 But, please upgrade your license frame to any of the mirrored frames offered with letters or founding year.